CELJ memberships must be renewed annually according to the date you first signed up. If your membership has expired or is about to expire, find the membership payment option below that applies to you and follow the instructions to renew. If you or your journal pay for your membership by credit card or check, please follow these steps to process and pay for your renewal. On your profile page click Renew to [date]. You can update your name and email address if necessary before clicking Update and next. On this final screen, review your membership information and click Confirm to initiate the renew process. 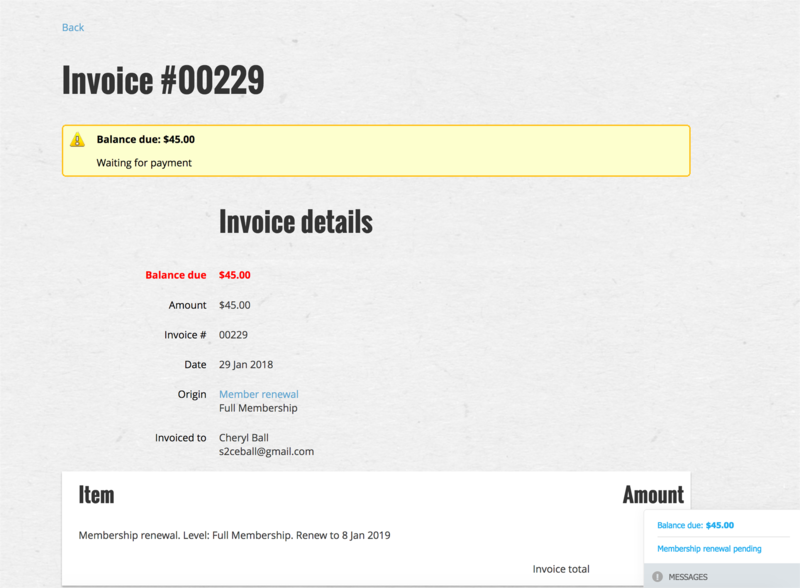 Your profile page will now prompt you that it is “Waiting for Payment” and will have an invoice number on it (see Fig. 1). Make a note of this invoice number for the next step. Once you have completed payment, CELJ staff will make your membership active on the website. This process may take up to 72 hours, as it is a manual process. If you are an editor whose journal membership is paid for by a press, please contact the press to ensure they have you listed on their renewal invoice and then follow the five steps below. If necessary, you can update your name and email address before clicking Update and next. On this final screen, review your membership information and click Confirm to initiate the renewal process. Your profile page will now prompt you that it is “Waiting for Payment” and will have an invoice number on it (see Fig. 1). Make a note of this invoice number for your records. You need to do nothing further as your press will submit payment for you. Once payment is received from your press, CELJ staff will make your membership active on the website. This process may take up to 72 hours, as it is a manual process. If you are a press member who needs a paper invoice for multiple journals, please contact us at celj@mail.wvu.edu with a list of the journals for which you will be paying and include the editor names and email addresses for each journal. and invoice #00229 (your invoice # will be different).